patrick, that is a fine wheelgun! Well PB wants $300 a year for me to have 3rd Party Picture hosting! Gonna try to figure out how to post pics! 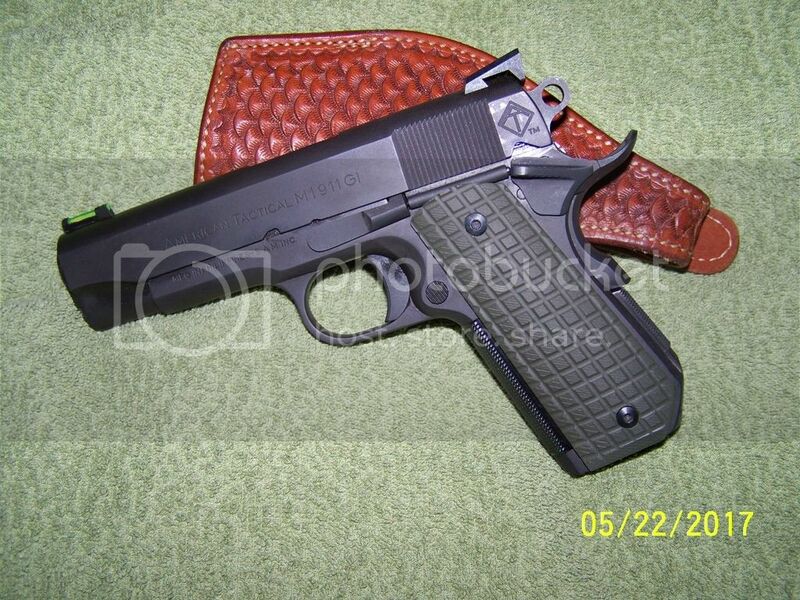 Congrats Steve, it is a fine 1911! Very few were brought in back then. You will have better luck finding a Valmet M62 for the dollars if you want a first rate AK. I had one of the later Century Golanis and it ran very well, their quality has definitely improved. Bob, they are some G10s I picked up cheap on ebay specifically so i could fit them to the gun to try out. Nice info, can you put up some pics to show it clearly? This one is still in progress. An ATI Commander, Novak rear sight, Hiviz front, action job and I just bobbed the tail. Keep up the good work! This is excellently done.